We had Mr John O’Connell who is the Rig manager for West Gemini Seadrill here at The National Maritime College of Ireland recently who completed some OPITO training. 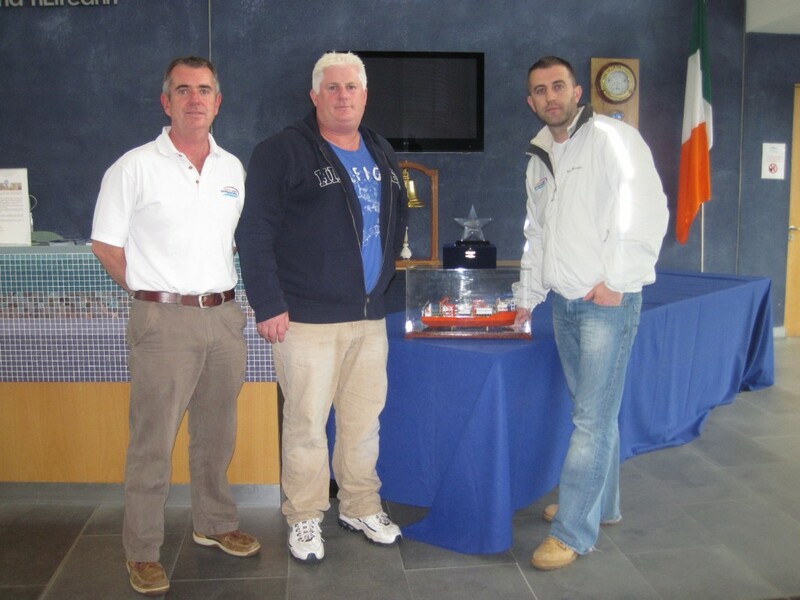 John kindly presented SEFtec NMCI Offshore with a model of the new vessel “West Gemini”. Seadrill is a leading offshore deepwater drilling company, that aims to be their customers’ most important partner in making oil and gas available in a safe and cost-effective manner. In photo: L to R Tom Griffin Offshore Co-Ordinator, John O’Connell Rig Manager West Gemini Seadrill, Conor Mowlds Managing Director of SEFtec NMCI Offshore. To learn more about Seadrill, here is a commerical video about them.